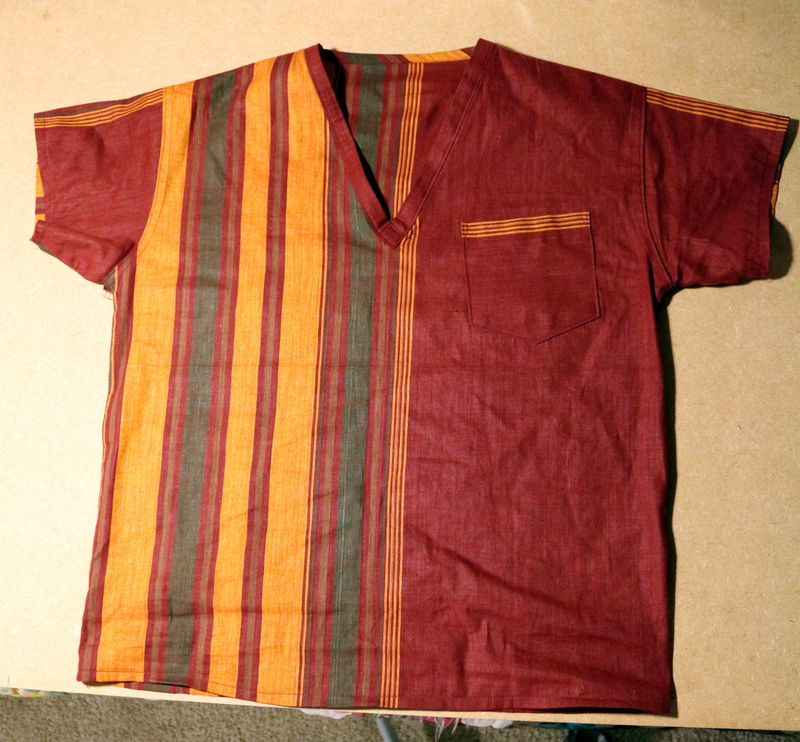 I have been hankering after some nice comfy tops to wear to work. A couple of the people who are training in our lab right now are from another lab, and wear scrubs to work…. 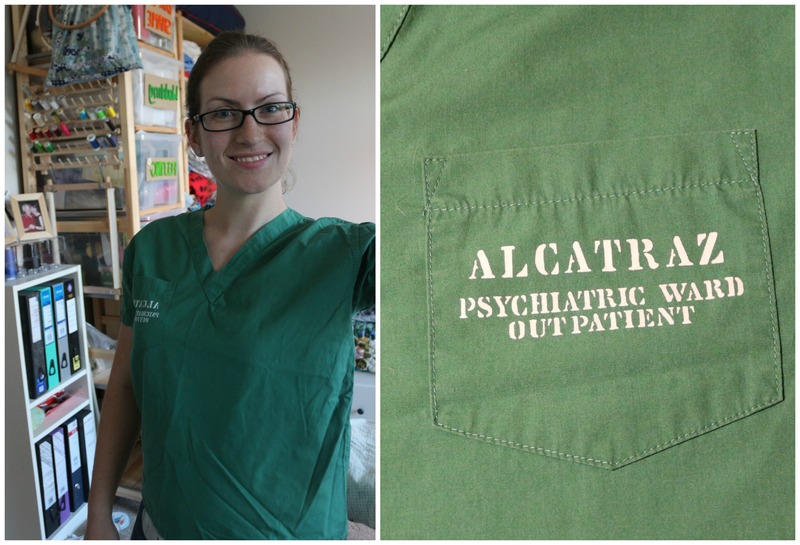 Maybe I don’t want proper scrubs, but some scrubs inspired by my Souvenir Alcatraz top? 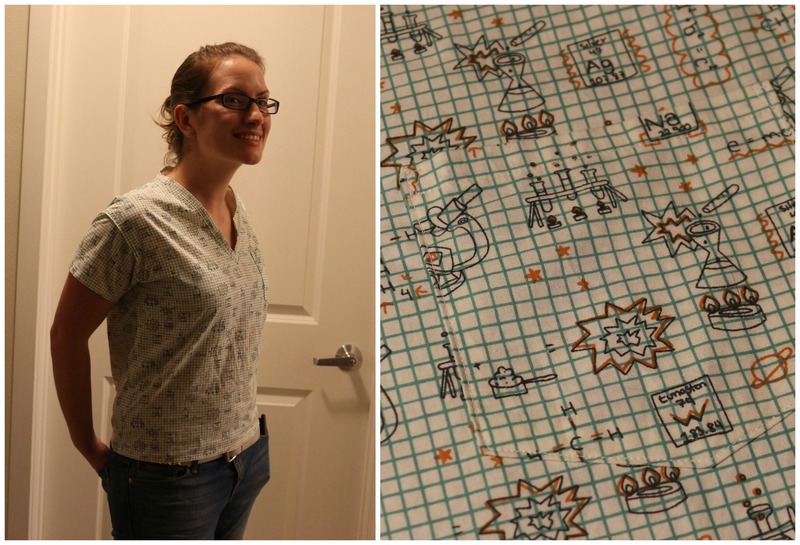 This fabric was part of the stash I was given by my cousin’s mother-in-law – the gift that keeps on giving! Yey for comfy new tops! 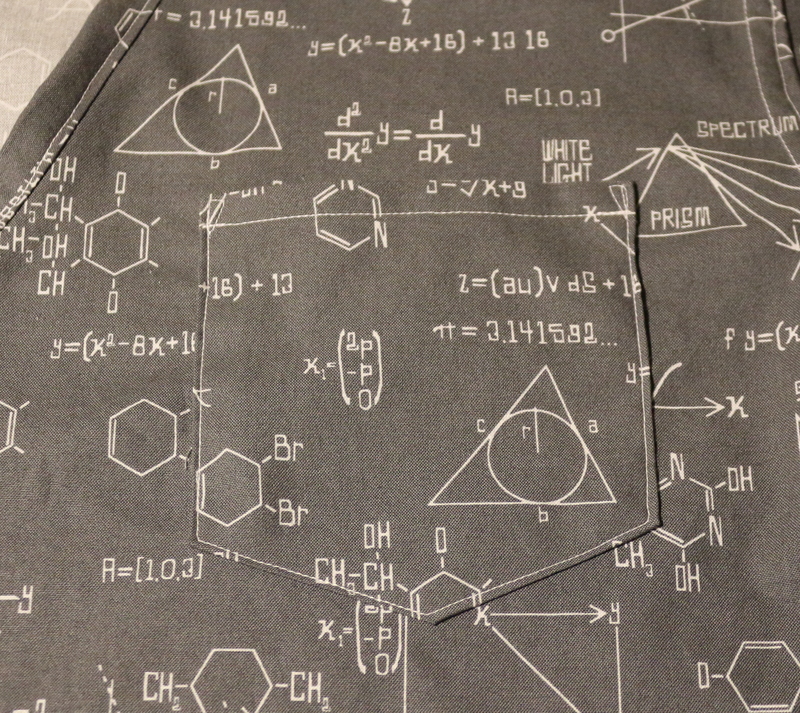 i really like the idea of science scrubs in a lab. What sort of lab are you in? Thanks! I have one of them on today and it is super comfortable!